After that terrific morning workout it was off to The Outlets of Orange aka The Block for some breakfast and a movie, Robert Zemeckis' tight rope spectacle, The Walk. It's been years since I've been to The Block but it's held up pretty nicely. You have lots of brand names stores like Calvin Klein, Banana Republic, DKNY next to hold out restaurants like Cafe Tu Tango, Market Broiler and newer additions like BJ's Brewhouse and The Saddle Ranch. It's kind of funny the Sunset staple has expanded to Universal City, Triangle Square and The Block but it's a fun spot and they give you cotton candy. The AMC houses no less than 30 screens and is quite the movie palace. There's quotes on the floor, giant posters as wallpaper and a half dozen of those Coke machines that make you 100 plus favors of fake. Our early screening of The Walk was old school with open seating. 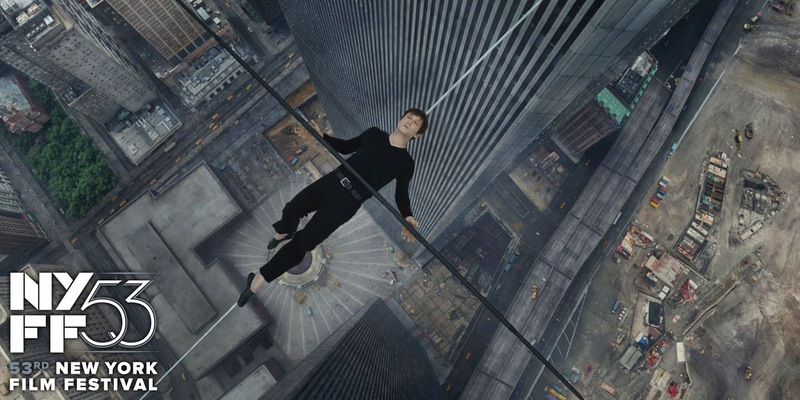 Based on To Reach the Clouds, the memoirs of street performer and tight rope walker Philippe Petit, The Walk tells the tale of a driven daredevil and his quest to walk a high wire between the soon to be open World Trade Center Towers in New York City in 1974. The always likable Joseph Gordon-Levitt plays the Frenchman who learns how to walk the wire from circus promoter Papa Rudy (Ben Kingsley) as he contemplates how to fulfill his dream of walking between the American towers. Forming a gang of accomplices, Petit heads to New York and sets in motion his plan to break into the tower, string the wire across the open 140 feet, do the walk and not get thrown in prison. It's a pretty straight forward affair filled with fun, danger, a touch of romance, heavy French and New York accents and more than a few intense moments of rigging, walking and extreme heights. I heard people were getting sick and vertigo from watching but our 3D show brought us nowhere near vomit inducing. Some people are just weak I guess, I mean if you get sick watching shaky cam in a Bourne Identity flick I just can't relate. After the low budget Flight brought Zemeckis back from technology driven affairs like Mars Needs Moms, The Polar Express and A Christmas Carol, The Walk is an economical crowd pleaser that has sadly not made a huge dent at the box office. But with hits like Back to the Future, Who Framed Roger Rabbit, Forrest Gump, Cast Away and Flight to his credit along with pushing the limits of filmmaking technology, it won't take long to see him bounce back.